Yesterday was a great day for a car show. Unfortunately, a few other groups came to the same conclusion, so we were competing with them for entrants and spectators, but while numbers were down a little from last year, it was still a great event with some spectacular vehicles in attendance and some very enthusiastic owners. 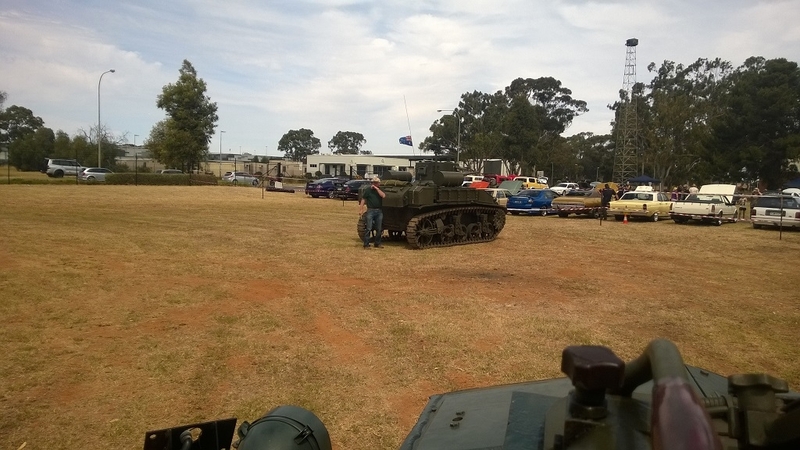 Miss Stuart, our M3 Stuart Light Tank, put on a few driving displays and was as popular as ever. Sam, our resident tank driver, gave the gas cannon a workout and appeared to be having a great time, as usual. The Nine Mile Snipers conducted 3 separate firings of their gun, with their usual level of professionalism and it was nice to see that their Number 8 Gun Tractor back in action, after being off the road for a while with mechanical problems. 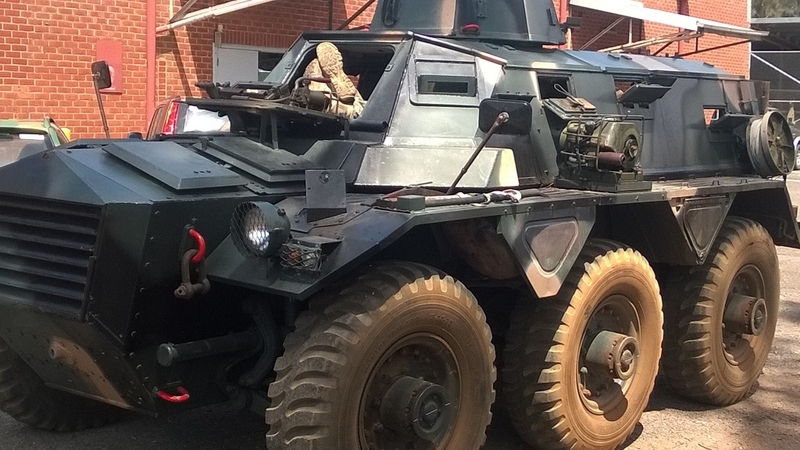 This time, we offered rides in the International (Acco) 5 ton truck and the Alvis Saracen Mk 5. The Acco had recently had its water pump repaired and had attended the Lady Soldiers book launch earlier in the week. It is a very large truck and can certainly hold a lot of passengers. Vehicles rides were given for a gold coin donation, with proceeds going towards fuel costs and the museum. We had planned to do a demonstration drive of our Mk3 Daimler Dingo scout car, which we had gotten running for the first time in about 6 years on Saturday, but a minor problem with the ignition coil and a leaking flywheel meant that we had to put that off. Hopefully it can come out to play at our next open day. The team from the Modified Ford Club of South Australia, who ran the gate, organized all of the car show aspects and tabulated the results of the judging. As always, if you have any great photos or video from the day, please feel free to email them to us for inclusion in our event reports. This entry was posted in Recent Events and tagged Slider.